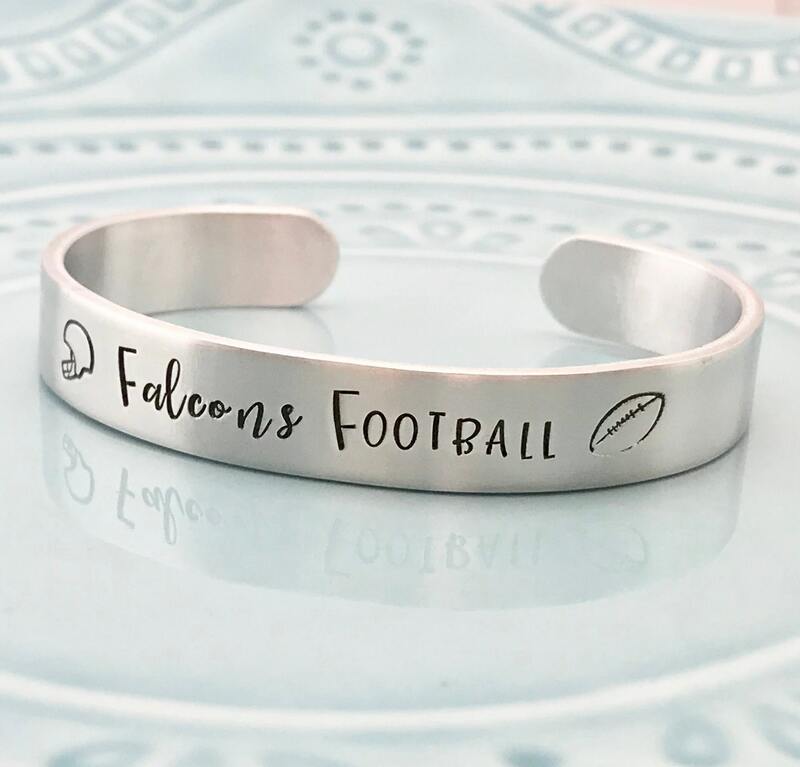 This unisex cuff bracelet is a great way for anyone to show their team pride and spirit. It is made from lightweight nickel-free aluminum which will not tarnish. I show it here stamped with a team and sport, but I can personalize it in any way. I also show it here with a name and number to personalize it.